At Galleria Dental, Dr. Ali Daneshmand leads a team of friendly dental experts committed to providing the highest level of care for both you and your family. We have the resources to serve the greater Houston area so that every patient who needs a dentist near 75063 can receive one. Moreover, we cultivate a calming dental office environment that ensures the safety, comfort and trust of our patients. 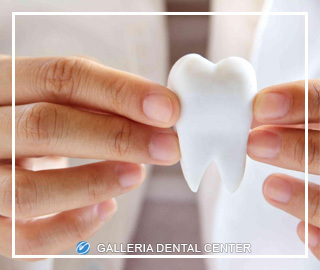 Therefore, you can rest assured that Galleria Dental is equipped to handle any dental health problem that may occur. Should you have tooth or gum pain, or even disease, we have just the right dentist near 77057 to address your particular issue. We also have advanced dental technologies and techniques that can revitalize your smile and bring out overall dental wellness. Once you choose to become a Galleria Dental patient, you’ll be on the road to optimal oral health in no time! Our goal is to work with your schedule and to provide you with dental care when you need it. Call us when you wish to be seen and we will make every effort to meet your particular needs. You can also request an appointment online and one of our office staff will contact you to verify your appointment. Going to the dentist near 77057 doesn’t have to be a negative experience. When you visit Galleria Dental, you’ll be treated to high quality patient care, the latest dental equipment and state-of-the-art facilities. What’s more, we offer a wide range of dental services that can benefit you and your family, regardless of the age of its members. We here at Galleria Dental believe that an informed patient is an ideal patient. With that in mind, your dentist near 77057 will be more than happy to inform you of your dental options and address any concerns you may have in order to present you with the best possible treatment for your dental issues. CALL US TODAY - WE’D LOVE TO HEAR FROM YOU! You can count on Galleria Dental for thorough, courteous dental care from a dentist near 77057. The staff at our Richmond Avenue office is there to help arrange your dental appointment as well as answer any questions you may have about your visit. Simply call us today at (713) 960-9926 to see what a difference our dental office can make!